Today’s divisive culture has given accountability a bad reputation. Allow me to reveal why accountability isn’t a stodgy old-school tenet or a mean-spirited approach to managing, but rather an uplifting idea that’s a crucial component of success—one that can be nurtured in every individual in your organization. Whether you are looking for a keynote speaker or corporate event speaker, I will demystify the cultural and organizational barriers often associated with accountability. I work to inspire people at every level in your company to think about accountability in a fresh, new way in order to embrace accountability as the key to their individual success. The absence of accountability saps morale, drains profits, and disenfranchises good employees while sowing seeds of confusion, chaos and crisis. My experience, exercises and tools enhance trust and accountability in organizations of all sizes—including yours. 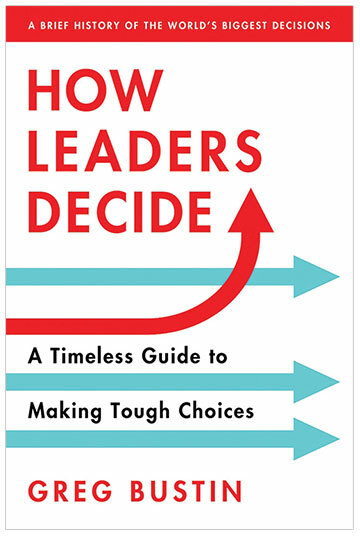 My book offers wisdom from Marriott, Container Store, Ernst & Young, Sony, Herman Miller and Nucor as well as medium-sized companies who consistently outperform their competitors. 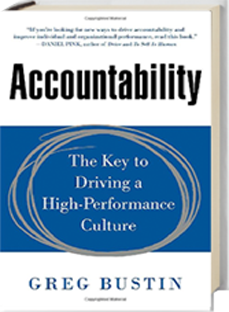 Accountability: The Key to Driving High-Performance Culture (McGraw-Hill) was selected by Soundview as a Best Business Book. To discover the right solutions to business challenges, the right questions must be asked. Those questions are the key to removing barriers and unlocking potential. And the questions are different for every organization. That’s why every engagement is customized to drive meaningful and lasting change. I have given more than 500 talks on five continents to bring your organizations my real-world experience as a sought-after executive coach and best-selling author of five leadership books. The result is an inspiring new approach that will challenge and inspire you and your team.